Dynaclear CBT Seals on Wire and a variety of hot-bar configurations helping your packaging needs from manual to high speed applications. 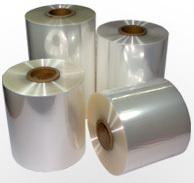 Best selling and most widely used multi-purpose workhorse shrink film with good toughness and clarity. Polyolefin center fold shrink film.